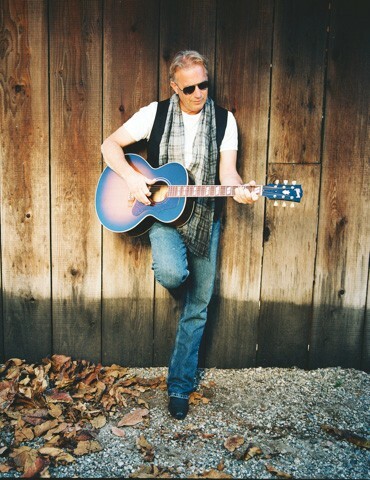 Kevin Costner & Modern West perform on Sunday, Aug. 9, at the Napa Valley Performing Arts Center at Lincoln Theater, 100 California Drive, Yountville. 3pm. $50–$100. 707.944.9900. RENAISSANCE MAN Kevin Costner has been playing guitar and piano longer than he's been acting. He's played Wyatt Earp, danced with wolves and lived out on the open range. Now Academy Award–winning director and actor Kevin Costner is taking a different route in telling stories of the Wild West, fronting a straight-shooting country rock band, Kevin Costner & Modern West. They perform in Yountville on Sunday, Aug. 9. "I tried to play a little under the radar," Costner says in an interview. Aware of what he calls the "baggage" of an actor being in a band, Costner was encouraged by his wife to call up old friends, like guitarist and songwriter John Coinman, and return to music. In fact, Costner has been playing guitar and piano longer than he's acted, having grown up in a musical family, and with a Baptist upbringing. He formed his first band, Roving Boy, with Coinman and bassist Blair Forward over 30 years ago, just as his career in Hollywood was taking off. Though music went on the back burner, Costner kept Coinman close, involving him as a music supervisor on Dances with Wolves; Coinman helped Costner arrange the Native American music heard throughout. "I've always tried to stay with my friends," says Costner. "When I formed [Modern West], I started off with three other guys, and it just didn't feel right. So, typical me, I just went back to my beginnings." Along with Coinman and Forward, Modern West is made up of guitarist Teddy Morgan, drummer Larry Cobb and guitarist Park Chisolm. "Everybody in the band writes, that's what I like about us," says Costner. Over the course of the last decade, Modern West have recorded five albums of original country-rock tunes. And, Costner stresses, there's no ego when deciding whose songs to play. "For me, it's always been easy to let the cream rise to the top," he says. Lately, Costner has been in full renaissance-man mode, balancing a career of acting and producing. He wants to make another epic Western some time in the future, and he's also working with another writer and an illustrator on an upcoming novel, The Explorer's Guild. This spring, he found time to get the band back in the studio to record Modern West's forthcoming Where the Music Takes You. Costner is looking forward to sharing these new songs with a Napa County audience. "We know it's not serious, but we take it seriously," he laughs. "There's an exchange that takes place [at live shows], and you hope that people feel different when they walk out to their cars."